Gale Lewis a Coleg Sir Gar ceramic graduate is showcasing her work at New Designers at the Business Design Centre, 52 Upper Street N1, London between 27th & 30th June. 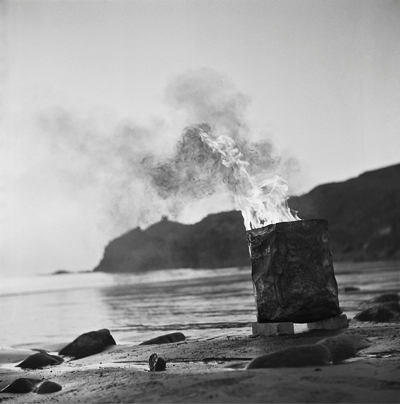 Gale creates both ceramic vessels and photographic images that respond and capture the West Wales coast. The work is often fired on the beach using flotsam and jetsam as both inspiration and material to fuel the primitive firing method.